Win Myint was sworn in as Myanmar’s new President, pledging to give priority to the rule of law, peace and reconciliation. 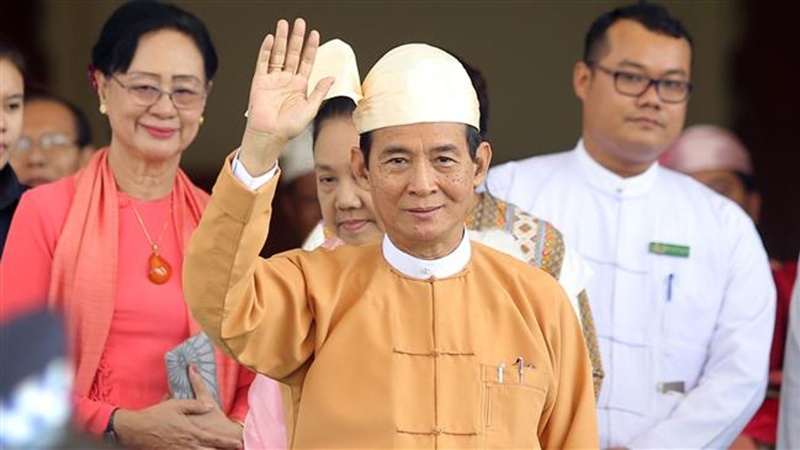 A longtime loyalist to de facto leader Aung San Suu Kyi, the 66-year-old Myint and the former lower house speaker, took his oath of office on Friday, three days after Myanmar’s parliament elected him as the country’s next president. He won 403 votes from the 636 lawmakers in a vote largely split along the National League for Democracy (NLD) and military lines. “As part of the priorities of the union government, amending the constitution is the most fundamental to build the federal democratic government,” Myint said in his inaugural speech. “I will prioritize to implement the rule of law, for the improvement of people’s life, national reconciliation and internal peace,” he added. On March 21, former Myanmar’s President Htin Kyaw, a close ally of Suu Kyi, announced his resignation, citing ill health. “According to the Myanmar constitution article 73 (b), procedures will be undertaken to fill the president vacancy within seven working days,” a statement posted on the president office’s Facebook page said. The resignation comes at the time when Suu Kyi has been under fire internationally for her inaction on a military crackdown against the Rohingya Muslim minority in the Southeast Asian nation. Since last April, Myanmar’s armed forces joined by Buddhist mobs have intensified their campaign of terror against Muslim families living in Rakhine State, killing them, torching their houses and forcing hundreds of thousands of them to flee. Some 700,000 Rohingya have been driven into neighboring Bangladesh since last August by a major army crackdown.